Author: Hamilton, Lyn Set In . . . Description: Lara McClintoch’s professional pride is hurt when a writing cabinet she thought was a genuine antique turns out to be a fake. 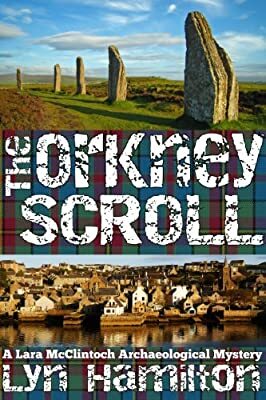 When the antique dealer who sold it for a million dollars is murdered and the money goes missing, Lara follows the forgery trail to Orkney, islands off the northeast coast of Scotland ruled long ago by Viking earls. Amid the peaceful landscape and friendly inhabitants, Lara looks for vindication and finds danger instead.